Starting in Newtonville, we’ll ride down Mt. 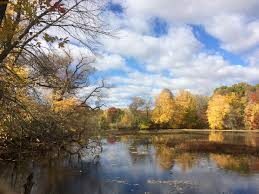 Auburn St. through Watertown and Cambridge to Fresh Pond, work our way around the pond and then head over to Danehy Park to the 5th annual Cambridge Jazz Festival, which runs from 12 noon to 6pm. Riders who would like to head back to Newton at that point may do so, led by a Bike Newton ride leader. Riders who would like to stay at the festival for a bit and enjoy the music may do so, and then that group will return to Newton with another ride leader. Meet in front of the Star Market on Austin St, in Newtonville, and we’ll leave promptly at 11 am. This is a family-friendly, “no-rider-left-behind” ride and all ages are invited, but all young children must be accompanied by an adult. Bike helmets are required. 14 miles roundtrip. Be sure to check bikenewton.org for any last-minute changes.